The quote is attributed to Pippi Longstocking. Funnily enough, it is not something Astrid Lindgren ever wrote, as I discovered when I tried to find out where exactly it came from. Well, never mind. It is a heartening phrase, whoever said it. On my About page you can read that I love knitting, as well as a bit more about who I am. There’s no need to repeat that here. So let’s just dive straight in and look at what’s inside my new knitting bag. I always have several knitting projects on the needles at the same time. Usually one big project, one pair of socks for mindless knitting, and one or two other projects that require a little more attention. My big project at the moment is a cardigan for myself. The pattern I am using is Willapa by Annie Rowden. Willapa is a simple, slightly longer cardi in stocking stitch with garter trims, knit from the neck down. 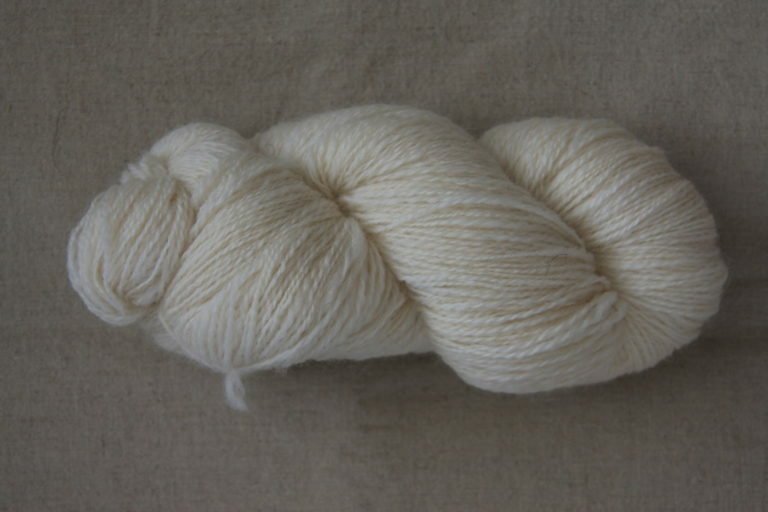 The yarn I am knitting with is Lamana Como Tweed, a very soft 100% wool yarn. I chose the pattern because I could do with a warm-but-not-too-warm cardigan. And also because I wanted to knit something that I could knit on for hours and hours without paying too much attention. I fell for Willapa because of its simplicity, slim fit, pockets and shawl collar. So far, it has been a very enjoyable knit. 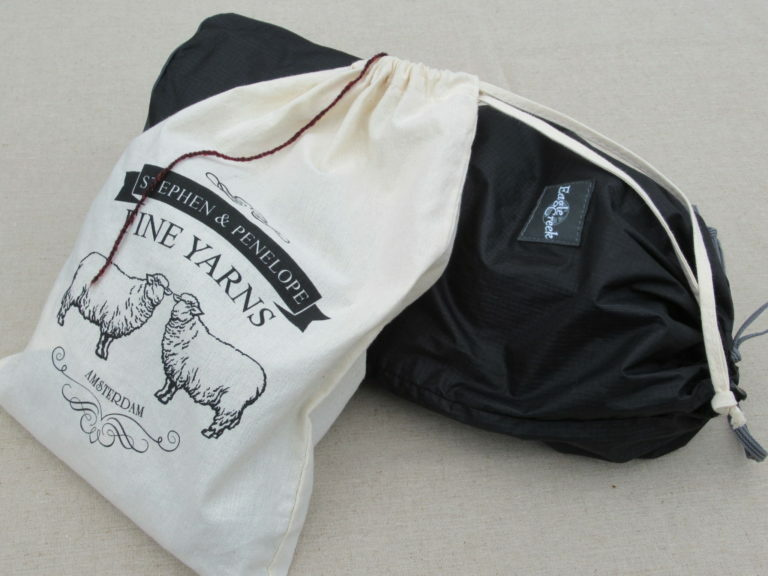 The next project in my bag is a pair of socks. 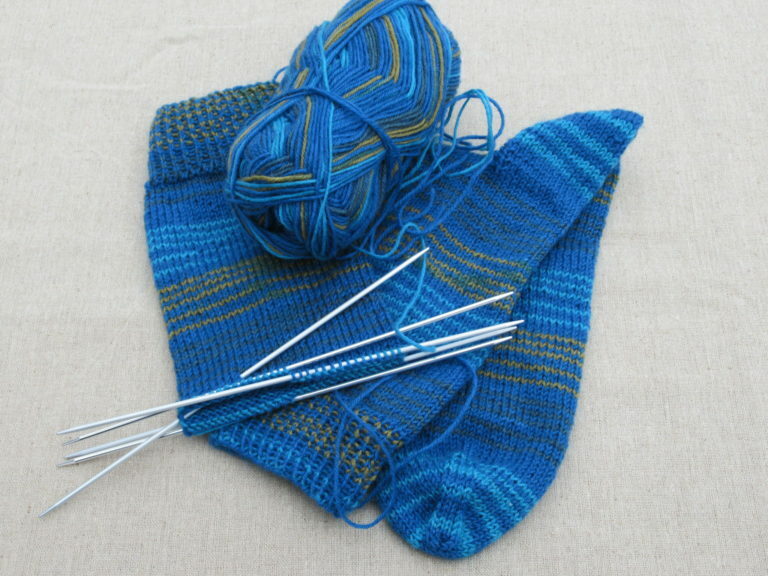 I always have a pair of socks on the needles for those moments when I need something really simple and comforting to do. I am using my own tried-and-tested basic sock pattern and a sturdy Regia sock yarn. And then there are some secret things on my needles. Presents that I can’t show you yet because I don’t want to spoil the surprise. Now, what’s so interesting about all this knitting stuff that I want to share it here? That’s really hard to explain. If you are a knitter, you’ll probably understand. For me, it’s about working with materials that I am instinctively drawn to, making something beautiful that is useful at the same time and the endless possibilities of combining colours and stitch patterns. 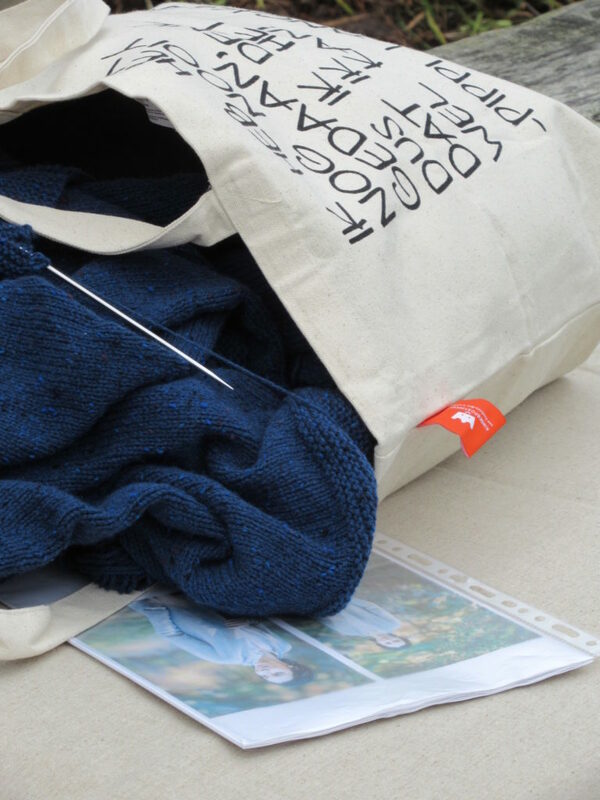 Apart from making stuff, I like looking at and reading about what other knitters make. And I hope that others will enjoy looking at and reading about what I’m making in turn. Phew, I did it! I wrote my first blog post. Thank you so much for keeping me company! 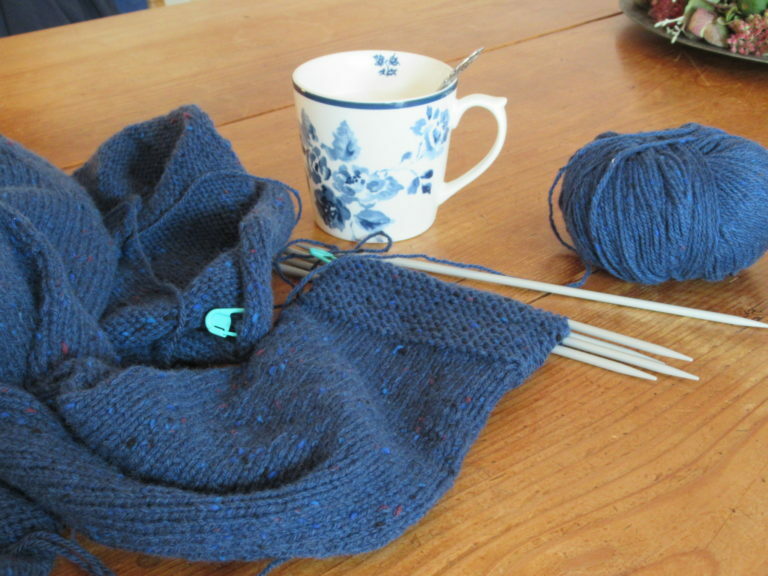 Today was all about knitting in progress. Next time I’ll show you a colourful finished project based on a pattern by a wonderful Scottish designer. Plus some photos of our lovely surroundings. I hope you’ll join me again then. ‘Jonathan told me how there are things you have to do, even if they are dangerous. That’s pretty harsh, isn’t it? Nothing childish about it, although it was written for children. 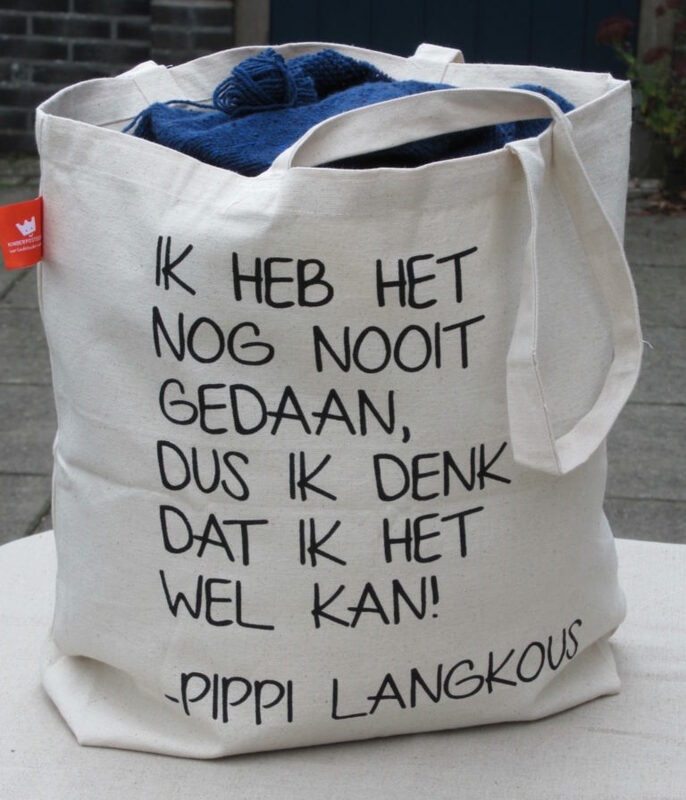 I found this quote and the information about the misquote on the official Astrid Lindgren website. It is really worth a visit if you like her books. Welcome to the wonderful world of blogging! Having enjoyed our chats on my blog I loved reading your biography and learning a little more about you. What a fabulous cardigan that is. I like the idea of knitting the sleeves shoulder downwards as I have very long arms so imagine it would be easier to gauge the length doing it that way. Thank you! So lovely to receive your comment (my very first – you should see the big smile on my face). 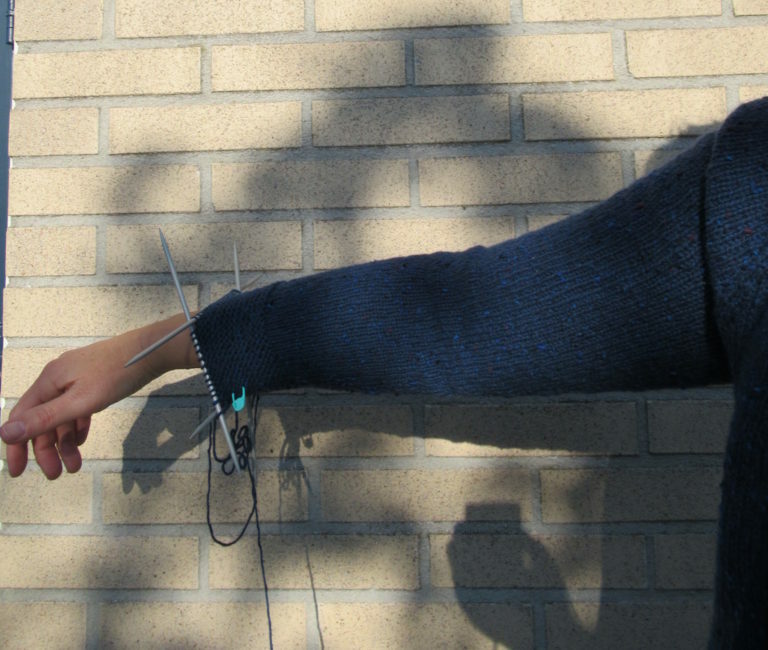 Yes, knitting the sleeve downwards is a great idea. You can try it on now and then to check if it is long enough (or getting too long).